Team Tilt, the Swiss team selected for the Red Bull Youth America’s Cup has announced their participation at the next two Acts of the Extreme Sailing Series to be staged in Istanbul, Turkey (20-23 June) and Porto, Portugal (25-28 July) as the global tour heads back to Europe for the summer months. Also new to the Series is SpeedDream, an ambitious project that aims to build the worlds fastest monohull, and will join the NeilPryde Windsurf Racing Series as warm-up acts. Cujean will be joined by Jocelyn Keller as tactician, Jeremy Bachelin mainsail trimmer, Thomas Mermod headsail trimmer, with the bowman’s position still to be decided between Mikis Psarosfaghis and Jonas Schagen. 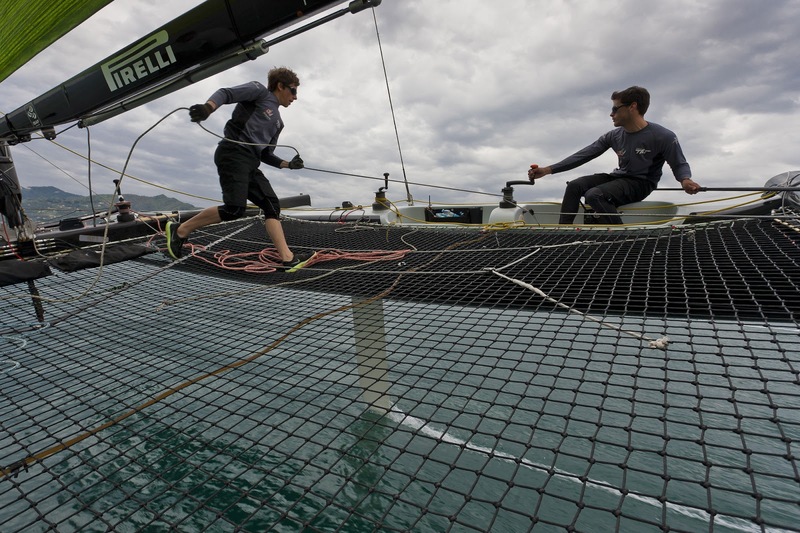 As well as giving Team Tilt the chance for some valuable multihull training, joining the Extreme Sailing Series will also give them the chance to size up the competition from the Kiwi Youth America’s Cup contingent onboard GAC Pindar, led by William Tiller. As part of the Series’ continually developing entertainment programme, SpeedDream will add an exciting new element for the VIP’s and public in Istanbul. 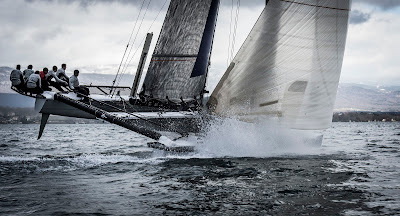 As part of the projects quest to build the world’s fastest monohull, SpeedDream have integrated some of their innovative design ideas, such as a flying keel, wave piercing bow and stepped hull, into a 27-foot prototype and Cam Lewis, one of the world’s most celebrated sailors as the first holder of the coveted Jules Verne Trophy and winner of the 1988 America’s Cup, will be in the driving seat demo-sailing the boat and bringing high speeds and excitement to the event in Istanbul. More information on Speed Dream is available here. Alpari World Match Racing Tour : Merci a Tous ! Normandy Sailing Week : Act 8! Roland Jourdain : Retour sur l'eau ! Atlantic Cup : Day 2 Update - Cold! 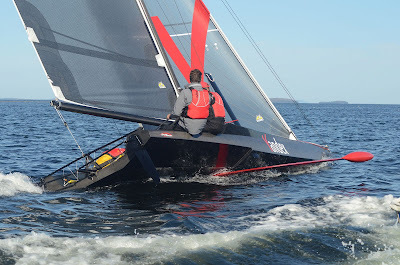 Delta Lloyd Regatta : Starts Next Week!